We recognise that no two people share the same combination of background, culture, abilities, and values - and it's wonderful. We want you to come to work each day and add value in the way that only you can. Here, we put a high value on diversity and strive to create an inclusive environment where everyone can be their best. We also want to ensure we're able to support local businesses and larger companies owned and operated by a diverse range of people. For these reasons, we've forged relationships with key organisations that help us continue to develop our approach to diversity. Through relationships with organisations like Business in the Community, Opportunity Now, Race for Opportunity, Stonewall, and Minority Supplier Development UK, we're able to meet and share best practises with like-minded companies and individuals, all of whom recognise the importance being a diverse company plays in individual performance and business success. We were honoured to be recognised as the Best Diversity Recruiter in the 2013 and 2017 student-driven TARGETJobs awards; the 2014 and 2017 NUE Awards and the 2018 GradIreland awards. These all reflect our constant efforts to be open to all. We recruit at local colleges and universities, as well as work with community partners and organisations to recruit people from a wide variety of backgrounds. We provide a structured way for employees to connect with peers who share similar backgrounds, life experiences, and interests through our local Diversity Teams and Employee Resource Groups. We extend our dedication to diversity & inclusion by partnering with national organisations as well as getting involved with events at local level. We participate in events throughout the year to support groups that reflect our employee makeup, including over 30 Pride parades each year across the UK. As a Times Top 50 Employer for Women, we've created a work environment where all kinds of women can thrive. Ambitious? All of our roles, from IT to Graduate Management Trainee to Accounting give plenty of room for growth. Hard-working? We link pay directly to performance, so the more you put in, the more you'll get out. Forward thinking? Imagine the range of career opportunities you'll have in front of you when you're working for the largest car rental company in the world. Ambitious? Our graduates progress quickly to a Branch Manager role. Hard-working? We link pay directly to performance. Forward-thinking? You'll be working for the largest mobility provider in the world. Hear from the women that work here and how they thrive at Enterprise. Women Thrive at Enterprise Ambitious? Our graduates progress quickly to a Branch Manager role. Hard-working? We link pay directly to performance. Forward-thinking? You'll be working for the largest mobility provider in the world. 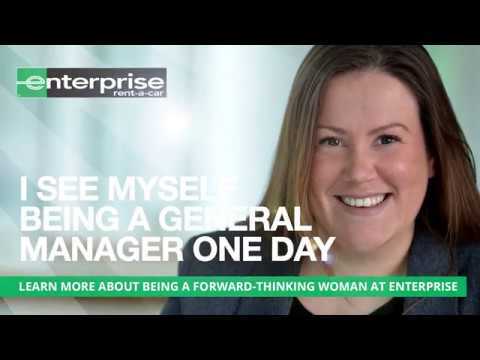 Hear from the women that work here and how they thrive at Enterprise. Women Thrive at Enterprise: Hannah Hannah joined our Graduate Programme after proving herself on an internship. Just two weeks later, she was promoted to Assistant Manager, and then went on to head up our flagship London branch. She’s proof that women thrive at Enterprise. 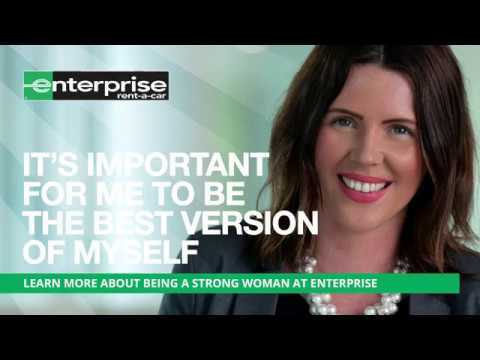 Women Thrive at Enterprise: Catrin Hard work means that women thrive at Enterprise. Take Catrin: she joined our Graduate Programme, and always strived to be the best. Ten years and several promotions later, she is now one of our Business Development Managers. Women Thrive at Enterprise: Hayley Hayley believes success is always achievable. Thanks to the support and development opportunities that Enterprise provides, she now has her sights set on a senior leadership role. Hayley is just one example of how positive women thrive at Enterprise. Women Thrive at Enterprise: Vic Vic recently won a nomination for Mentor of the Year at the Women of the Future Awards. It’s thanks to her work inspiring others that women thrive at Enterprise. 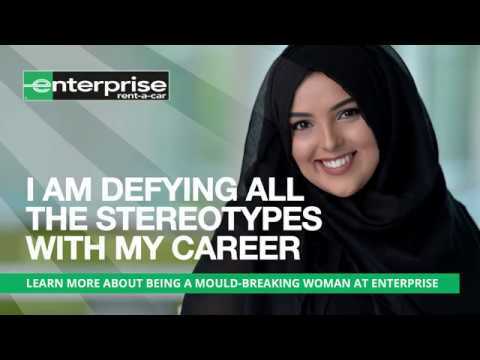 Women Thrive at Enterprise: Neelam Neelam is proud to have broken through the stereotypes and made rapid progress in her business career. Mould-breaking women like Neelam thrive at Enterprise. 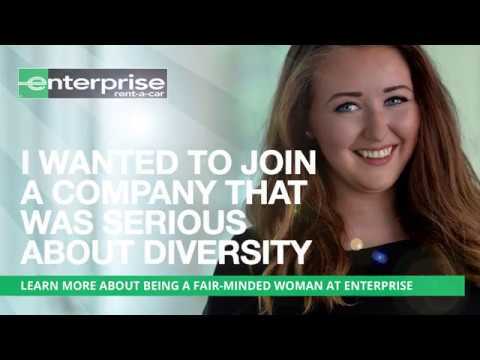 Women Thrive at Enterprise: Laura Laura took two years of maternity leave since joining as a Management Trainee, safe in the knowledge that her break from the business wouldn’t put the brakes on her career. Flexibility means women thrive at Enterprise. 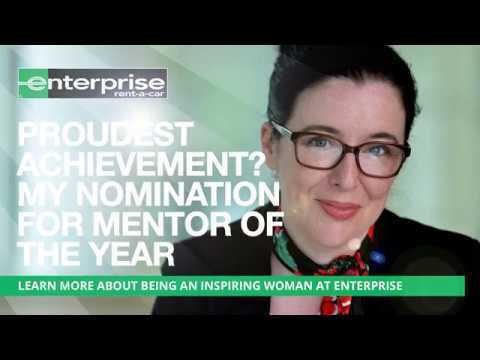 Women Thrive at Enterprise: Olivia Olivia’s advice to any woman starting out at Enterprise is to believe in yourself: "With all the support and mentoring on offer, you have everything you need to achieve your goals." Career-minded women thrive at Enterprise. 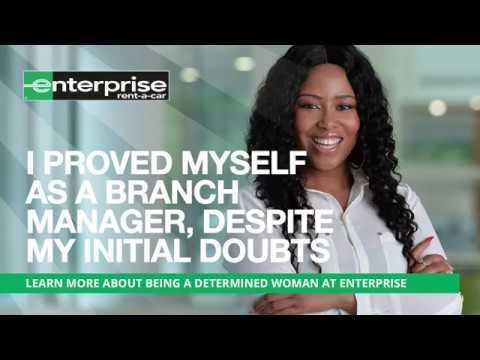 Women Thrive at Enterprise: Jessica Having progressed from Management Trainee to Branch Manager, Jessica’s next goal is to become a Director. Thanks to all the training, support and opportunities on offer, there’s no reason why she shouldn’t. Because forward-thinking women like Jessica thrive at Enterprise. Women Thrive at Enterprise: Rebecca Since joining Enterprise on an internship, Rebecca has been making the most of all the training opportunities on offer to learn as much as she can about how business at Enterprise works. One more reason why women thrive at Enterprise. Women Thrive at Enterprise: Rachel Opportunities to progress and a great reputation as a Top Employer for Women brought Rachel to Enterprise. It’s our support network and aim to create a 50/50 gender split in management that has kept her here - Rachel thrives at Enterprise. Our diversity initiatives. We talk the talk (and walk the walk). We are actively involved in local and national diversity recruiting efforts, partnering with such sources as Enactus, Race for Opportunity, Opportunity Now, Business Disability Forum, AHEAD (Association of Higher Education, Access and Disability) in Ireland and Remploy. We have been a proud Diversity Champion with GLEN, the Gay and Lesbian Equality Network. We partner and have strong relationships with a range of diversity organisations and minority media to make sure we're casting our recruitment net wide. Many of us volunteer to act as mentors to students, and we're always looking at ways to make our recruitment process even more transparent, whether that's changing the way our website works or altering our assessment centres to allow individuals a greater chance to shine. 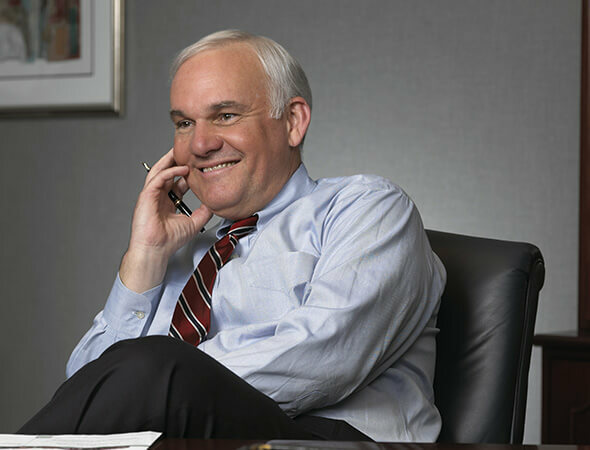 We offer diversity orientation training for all our employees as well as diversity leadership training for managers. It's designed to help create better leaders and managers. We were honoured to be recognised as the Best Diversity Recruiter in the 2013 and 2017 student-driven TARGETJobs awards; the 2014 and 2017 NUE Awards and the 2018 GradIreland awards. These reflect our constant efforts to be open to all. We currently hold the 'two ticks' positive about disability symbol, which only further demonstrates our commitment to diversity and employing the best talent. The Accessible Technology Charter sets out ten commitments to good practise on ICT accessibility. By signing it, we pledged to ensure "disabled and older people can apply for jobs with us, be employed by us, and do business with us." 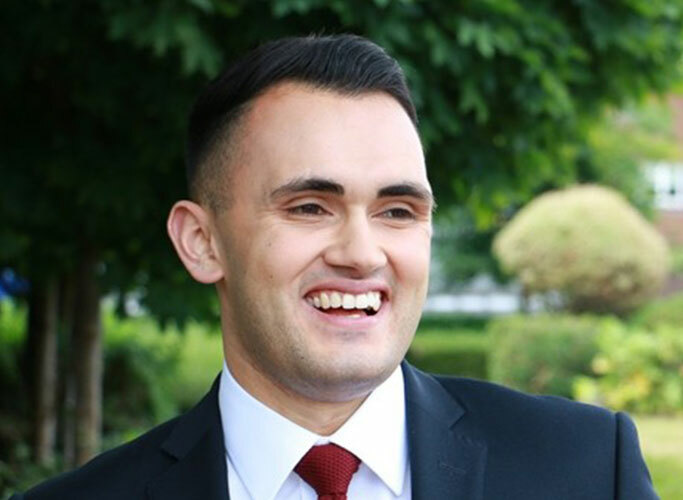 "Enterprise is fully committed to providing every employee with an inclusive workplace that offers the respect, training, and opportunities to succeed. That's simply who we are as a company, who we are as individuals, and how we will continue to build our success in the 21st century." "I first came across Enterprise at a careers' fair and was struck by what a friendly and inclusive bunch they all were. Having worked here for four years now, I can tell you that my first impressions were right - this is a great place to work, every day is different, and I really feel like I've got an exciting career."